After Effects Version: CC 2015, CC 2014, CC, CS6, CS5.5; Universal Expressions: Yes; Length: 2:50; Resolution: 1980x1080; File Size: 2.85GB; Media Placeholders: 46; Text Placeholders: 46. Introduce the Realistic Frames template for your production needs. Smart color control and modular structure. Beautiful template with high attention to details. All footage motion tracked and all you need to do is just draf and drop your photos. - Footage of the frames included. - Footage of the light leaks and hand drawn animation at the beginning included. - Music and photos are NOT included and was used only for presentation purposes! - One-Click OFF Depth of Filed, Black&White FX, Overlay Text. Color control Light leaks. Easy control of photo frames glass reflections intensity and scale. - No 3rd part plugins used. 100% After Effects! Credits Music used (not included). - Motivation by Nitzi Thanks for watching! Realistic Frames photo displays is perfect for presentations your upcoming event, important events and presentation family slides, as media opener. You can use it for design your video, wedding video, awards, magazine, store, shop, clothes . You can use images or videos. Very simple and well organized project, stylish, quick, modern style. This project is perfect for slideshow or intro, or opener. You can use this template for: wedding slideshow, portfolio, special event opener, quick slideshow, photo album, fast and minimal promo, simple slides, lovely slideshow, travel opener, gallery. It can be showcase for your product, commercial promo, travel, promotional, cinematic trailer, special moments, history memories, adventure slideshow, wedding and romantic opener, you can create presentation for your business. Create video for YouTube or Vimeo or other media site. You can use my other albums and create a movie for summer or holiday slideshow, modern and elegant wedding reel, simple quick slideshow, video album, demo reel or any type of slideshow, summer travel or adventure in interesting tour, design your elegant reel, promo, intro, holiday slideshow, showreel, fashion event and magazine demo reel, opener, for your media. Create travel slideshow, simple slides, minimal slideshow, company history video, wedding, trailer, scrolling slides, minimal media opener, realistic frames, present a new brand (tags: quick slideshow, minimal, clean, travel, photo, lovely, inspired, birthday, night party, scrolling, wedding, business, elegance, fashion, photo album, presentation slideshow, inspirational, intro, wedding opener, wedding slideshow, anniversary). Thank you for your attention! Fashion Online Web | Promo; S Phone App | Presentation; X Phone App | Presentation; Xtrail | Logo Stings; Bright Corporate | Presentation; Social Media | Booster Pack; City Titles | Realistic Titles Opener. Keywords: anniversary, family, love, motion tracked, photo displays, photo frames, photo slideshow, real frames, realistic, romantic, sentimental, slide show, social, wedding, wedding opener. 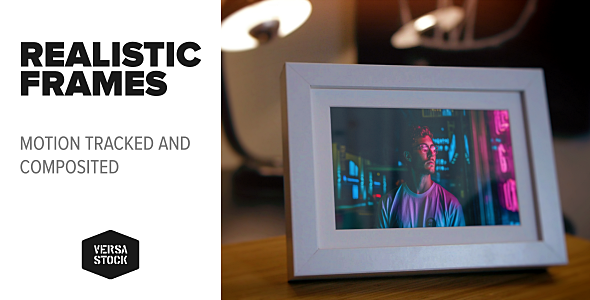 Create VideoHive Realistic Frames Photo Displays 20974257 style with After Effect, Cinema 4D, 3DS Max, Apple Motion or PhotoShop. VideoHive Realistic Frames Photo Displays 20974257 from creative professional designers. Full details of VideoHive Realistic Frames Photo Displays 20974257 for digital design and education. VideoHive Realistic Frames Photo Displays 20974257 desigen style information or anything related.